It’s been a long road back to oral health for you after periodontal (gum) disease. But after several plaque removal sessions and perhaps even surgical procedures to address deep infection, your gums have regained their healthy pink appearance. But now you must face a hard reality: because you’ve had gum disease you’ll need to be extra vigilant with your oral hygiene to avoid another round with this destructive disease. But don’t worry—you won’t have to fight your prevention battle alone. We’ll continue to provide you care that reduces your risk of re-infection. We call that care periodontal maintenance (PM). The heart of PM care involves regular dental visits for monitoring, cleanings and treatment when necessary. 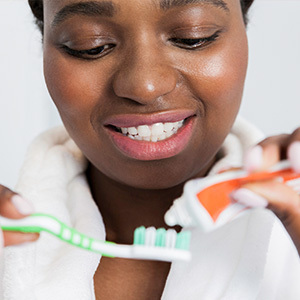 While most patients may visit their dentist at least twice a year, as a previous gum disease patient we may advise more frequent visits, especially if you’ve just finished periodontal treatment. Depending on the extent of your disease, we may begin with a visit every other week or once every two to three months. If your mouth continues to be disease-free we may suggest increasing the time between visits. During your visit we’ll carefully examine your mouth, as well as screen you for any signs of potential oral cancer. We’re looking for both signs of re-infection or new issues with your teeth and gums. We’ll also assess the effectiveness of your oral hygiene efforts and advise you on ways you can improve. If we find any signs of disease, we’ll then formulate a treatment plan to effectively deal with it. With frequent visits we have a better chance of discovering re-infection early—and the earlier the better to minimize any further damage. We may also need to take steps to make future PM care easier. This could include gum surgery to alter the tissues around certain teeth for easier access for examination and cleaning. Our main focus with PM care is to look ahead: what can we do now to prevent a future bout of gum disease or at least lessen its effect? With continued monitoring and care we can drastically reduce your risk for further damage from this destructive disease.